Catlooking Writer is a lightweight and easy to use text editor that allows you to write your documents without any distractions. 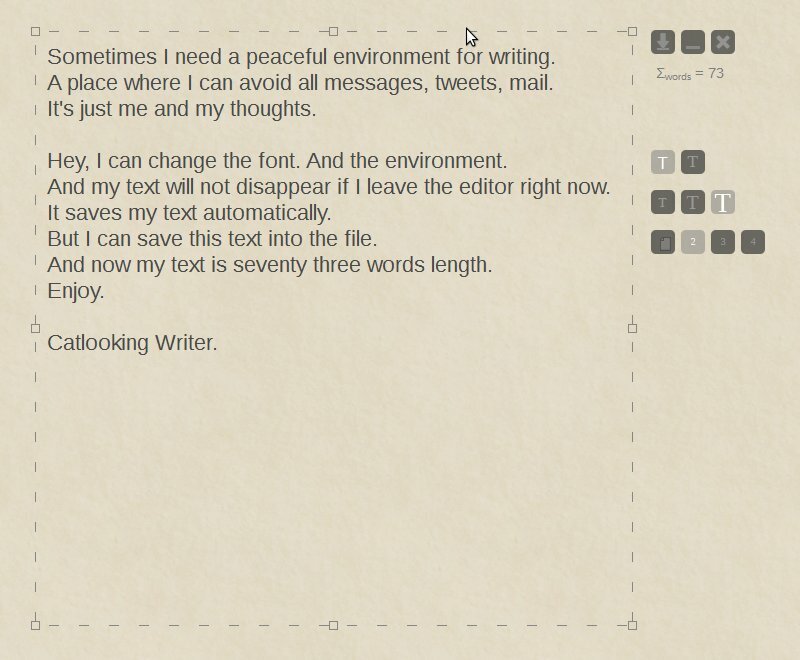 When I need a peaceful environment for writing, I use Catlooking Writer. Clear and simple interface allow you to concentrate on your text.Nothing can distract you. Just you and your thoughts.This is a place where I can avoid all messages, tweets, mail. You can change the font and the environment. Your text will not disappear if you leave the editor. It saves your text automatically. You can save your text into the file.